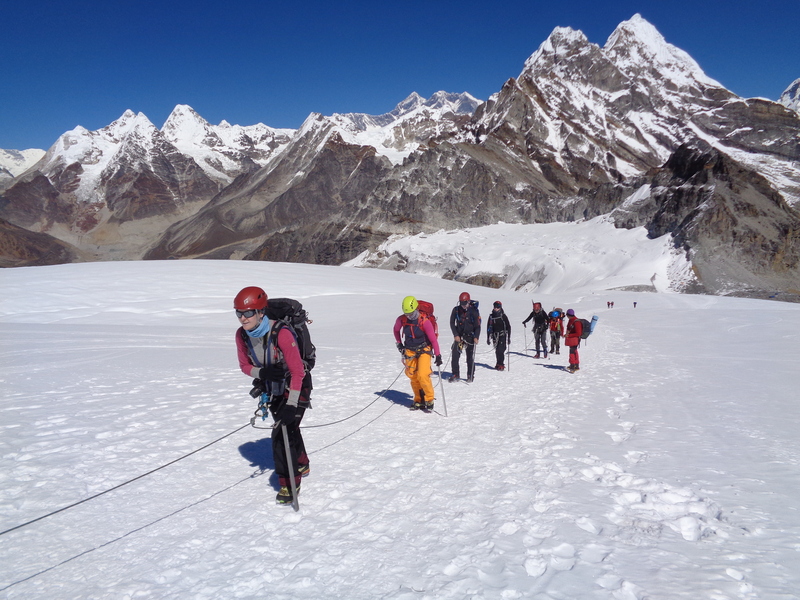 Specific training for your Mera Peak Climbing Expedition. You have been training, hiking and trekking for years and your mountaineering experience has lead you to Mera peak (6,476m/ 21,246 feet). You know that the more days acclimatizing to the lack of oxygen is going to help you when you go above 5,500m/ 18,000 feet. 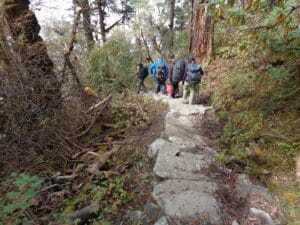 We have the right acclimatization program and itinerary in place for you. We don’t attempt a summit of Mera peak until day 14. You can train all you like but you do not have the right acclimatization schedule you might as well not come. Be prepared!! We know what it takes to give a team the best possible chance at success. We have 3 nights in Khare at 4,950m/ 16,240 feet, we use the Base Camp at 5,300m/ 17,388 feet which most trips don’t do and we have High Camp at 5,800m/ 19,028 feet, so we have built in plenty of days acclimatization and days for bad weather and additional summit attempts. All you need to do is come prepared, in good health, fully trained and mentally ready for 18/20 days out in the wilderness of the Himalaya’s. 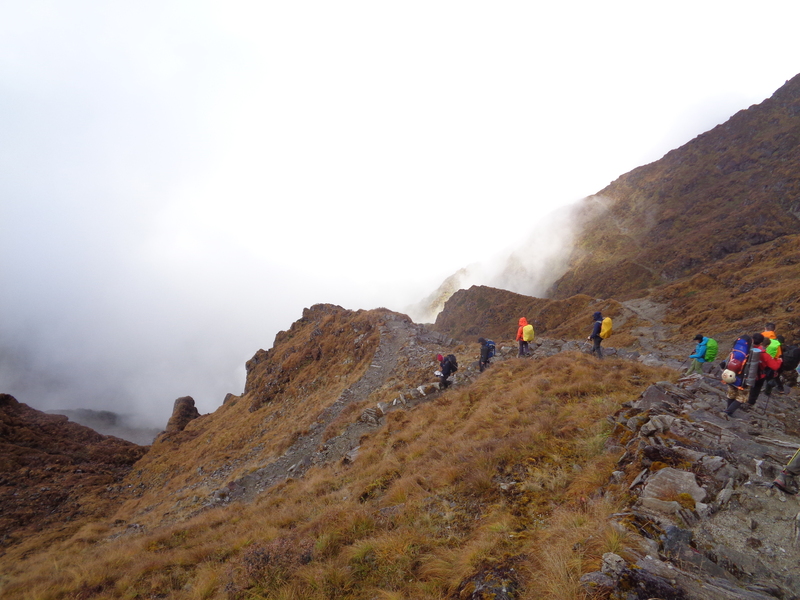 We recommend previous altitude trekking experience having trekked above 5,000m/ 16,404 feet you don’t want to be wasting your time coming on a Mera peak climb if you have no idea how your body reacts to low levels of oxygen. This can be dangerous!! understanding how your body reacts in low oxygen environments is critical to all high altitude mountaineering trips. 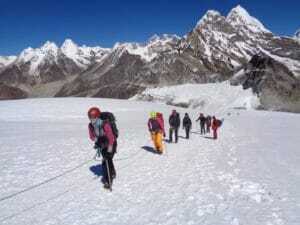 You do need to have specific training for Mera Peak. 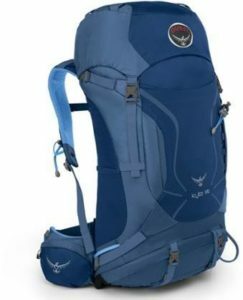 You will be hiking up and down hills in low oxygen environments for days on end. You will be carrying 6+kg/ 13+lbs each day with 2/3 liters of water at any time, rain gear, camera, sun cream, snack and higher up you will have to carry gloves, down, fleece, warm hat, crampons, harness, ice axe so the weight you are carrying will go up to possibly 10kg/ 22lbs. Depending on where your training is starting from, you will need to have a mix of cardio. pushing your lactic threshold higher so you can perform at higher heart rates for longer. You will need to come with excellent strength and conditioning. The two key elements you need to consider our strength and endurance. Low oxygen environments find weakness in the body so you need to develop a strength and conditioning program that builds slowly. We can help you develop a program to help you. On the route we use into Mera peak there are a lot of up and down before reaching Khote, so the first 6 days have a lot of excellent acclimatization but lots of steps up and down through the forest trails. You also need to build an endurance program that gets you training in a similar way to the actual trail and climb. Training with weighted back pack building up to carrying 18kg/ 40lbs is critical in this part of your training. You will be walking up and down steps, steep trail, across and up and down a glacier, with heavier mountaineering boots with crampons on so you need to consider all elements of the trail and lack of oxygen. If you are going to be walking 4 to 8 and up to 14 hours a day you need to think about this when you are training. Getting in some multi-day hiking for long periods of time and building this slowly, starting with 2/3 hours will work and build up to 6/8 hours. My recommendation is to training 5 days a week. Train on a stair master and incline treadmill 4 days a week start with minimal weight in your back pack 5kg/ 11lbs. You need to train to specific heart rates. So doing a fitness test is a really good idea. 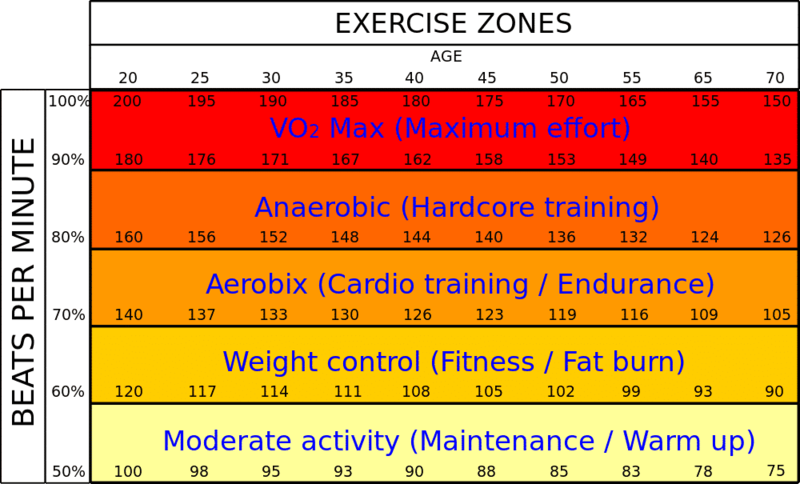 You should be doing most of your training in the endurance zone. Building from 1 to 2 hours per day for 4 sessions. You then need an longer endurance session once per week and a day or two off. This longer endurance session is best completed up and down hills with weight on a bike doing a long ride or in the gym mixing up the machines you use. We can help you figure this one out. You should be looking at building from 6 to 12 hours of training per week. You should do this for 2 months and then start adding in some weight training developing your quads, calves, and core. In the last 2 months you should consider adding in internal training while you are still doing the endurance training building up the weight you are carrying. Remember you are going on the climb to enjoy it and have the experience of a lifetime. The better prepared you are the better. 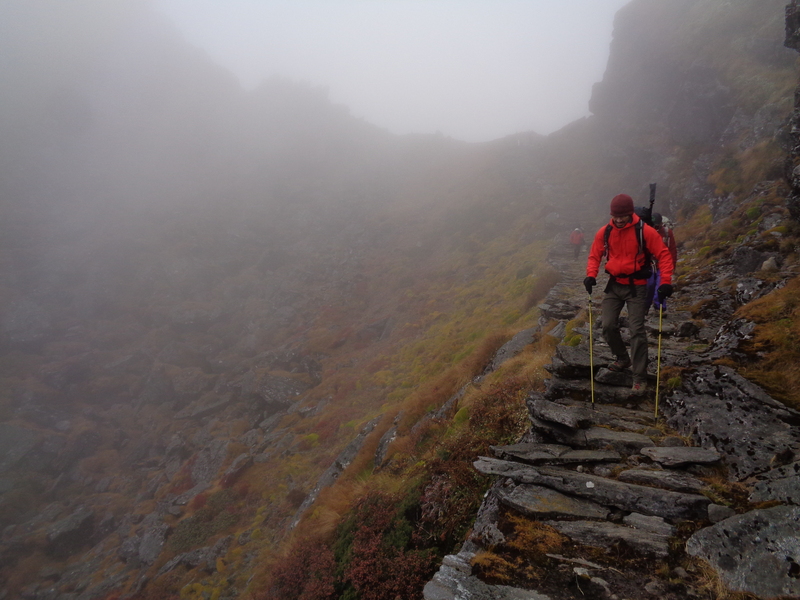 You should consider doing an introduction to mountaineering. Being competent using crampons, ice axe, jumar and abseiling using a figure of 8 is really important. 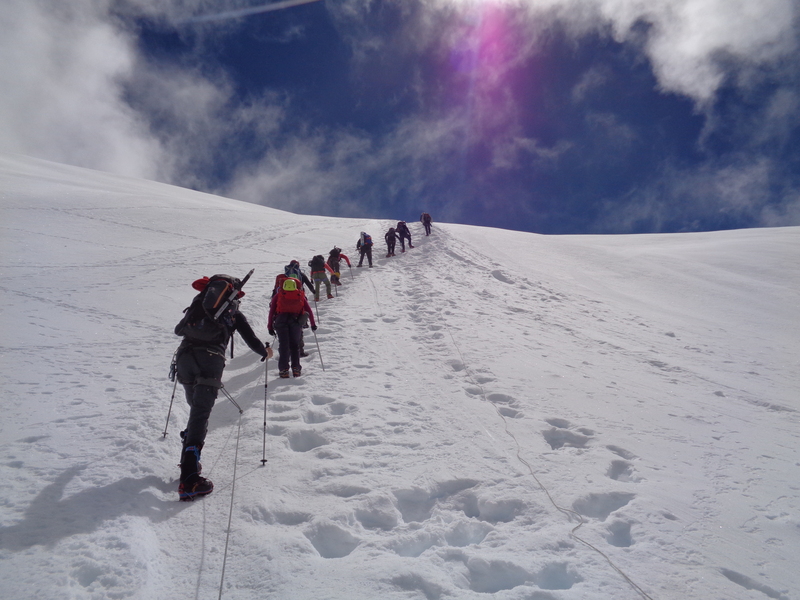 CONTACT US today and find out more specifics that will help you achieve your goal of climbing Mera peak. We look forward to talking to you and helping you map out a training plan that will work for you.